Practice Areas Construction Law – Zimney Foster P.C. When disputes arise, it may be possible to avoid full-blown civil litigation. Many construction contracts include an arbitration clause providing that both parties must submit to arbitration to resolve disputes which may arise. Arbitration is similar to the civil litigation process, but is typically faster and more cost-effective. Arbitration involves the presentation of evidence, arguments and witnesses before a neutral arbitrator. The arbitration decision is typically binding and cannot be appealed. We can assist in every step of the arbitration process to make it as efficient and effective as possible. Another option is mediation. Mediation is another more cost-effective option to civil litigation. Like arbitration, a neutral third-party is involved. Unlike an arbitrator, whose role is similar to that of a judge, a mediator facilitates settlement discussions between the parties to attempt to reach a resolution of the matter short of any litigation. Mediation is a confidential process and if a resolution cannot be reached, there is no final binding decision and other avenues can be pursued. If mediation is utilized, we can represent you throughout the mediation process. Should disputes arise over construction contract provisions, we are ready to assist clients in resolving those disputes as efficiently and effectively as possible. Resolution may be accomplished in a variety of ways including settlement, arbitration or litigation when necessary. The terms of the construction contract dictate the duties of each party and how risk is allocated. We can help you negotiate the terms of the contract, such as insurance, indemnity and waiver provisions to protect your interests and avoid disputes later on. Construction Contract Drafting and Review. It is vital that any contract entered into be drafted to protect your interests in case problems arise. Proper contract drafting is the first step in avoiding disputes during the project. We can draft or review your construction contracts to ensure that you are protected throughout the contracting process. When insurance coverage disputes arise we can review the insurance policy and circumstances surrounding the claim and give an opinion on whether coverage exists and litigate the issue should legal action become necessary. When you have performed work under a construction contract and the other party fails to make full payment, you may be entitled to a construction lien. We can assist in the lien process to ensure that you have a valid construction lien. We can also provide representation in an action to enforce a construction lien. When disputes arise among general contracts, sub-contractors, owners, companies and others, litigation may become necessary. 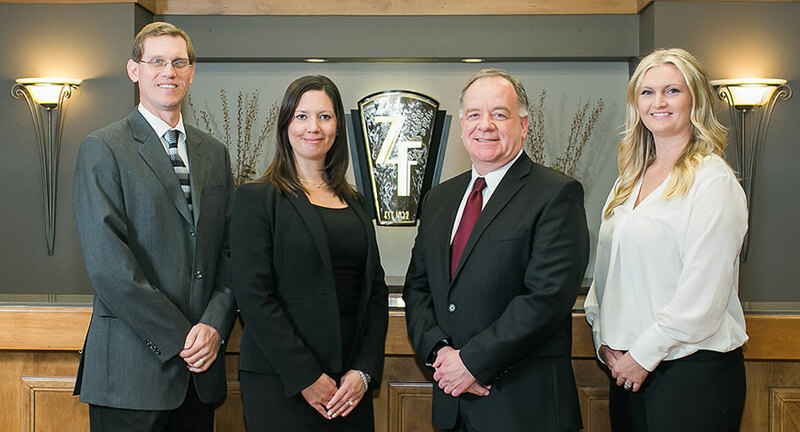 In those situations, we represent our clients both in prosecuting and defending claims. Payment Bonds and Performance Bonds. Construction contracts often require payment and performance bonds. A payment bond guarantees payment to participants such as the sub-contractors, suppliers and laborers should the contractor default. A performance bond guarantees that all work will be completed in a satisfactory manner. We will review the bond requirements in your construction contract, as well as the terms of the bond itself. Should litigation arise over the bond, we can provide representation for you in the action.